Himalayan Salt Blocks come directly from the salt mines in the Pakistani Himalayan region and are made of crystallized salt stone from Himalayan salt, or halite. This halite is millions of years old and is hand-mined from the Pakistani Himalayan mountain range. These stones are 100% natural & unrefined and have a beautiful pink marbled color. 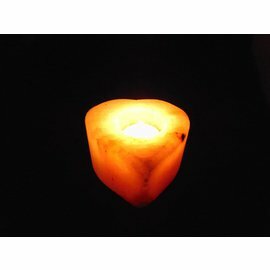 Himalayan Salt Blocks have many applications: they are used, among other things, to manufacture salt lamps, tealight holders, jewelery and aroma burners, they can also be used in the kitchen to keep food cool or warm longer or as an alternative to a stone grill on the table. 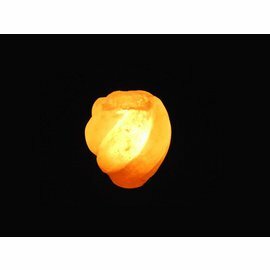 The Himalayan Salt Lamps from NATURAL BIO STORE Finest Selection are supplied with fitting, light bulb and cord with switch and power plug suitable for use at 230 volts. 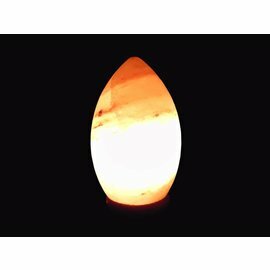 A Himalayan Salt Lamp has many advantages, this is also the reason that more and more people get this lamp. 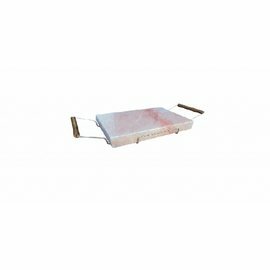 Because of the positive effects of this salt stone you will experience more peace in your home. 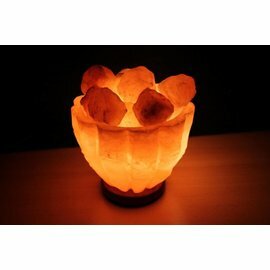 Himalayan salt lamps are made of crystallized salt stone from Himalayan salt. This unrefined salt is millions of years old and is hand-mined from the Pakistani Himalayan mountain range. 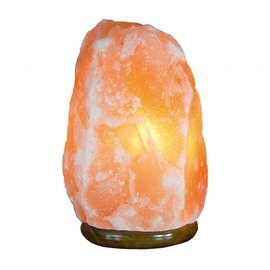 The Himalayan Salt Lamp absorbs the positive ions and produces negative ions that purify the air, resulting in better air quality and thus a finer living environment. The harmful positive ions of electronic equipment, for example, disappear from the air and the living space is brought into balance. The heat coming from the light source (light or candle) causes the salt of the lamp to become warmer than the air around it, so the water molecules are attracted to the air. The water condenses on the crystal surface of the lamp. The positive ions remain on the lamp and the negative ions return to the air. The air is then purified from the positive ions and only contains the negative ions that mainly consist of oxygen. It is like a window that is open, a natural source of fresh, clean air in the living space! If you light it again, it will dry again by the heat. 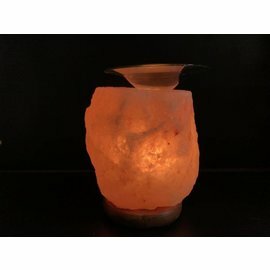 NATURAL HIMALAYAN SALT BLOCKS & SALT LAMPS at NATURAL BIO STORE!